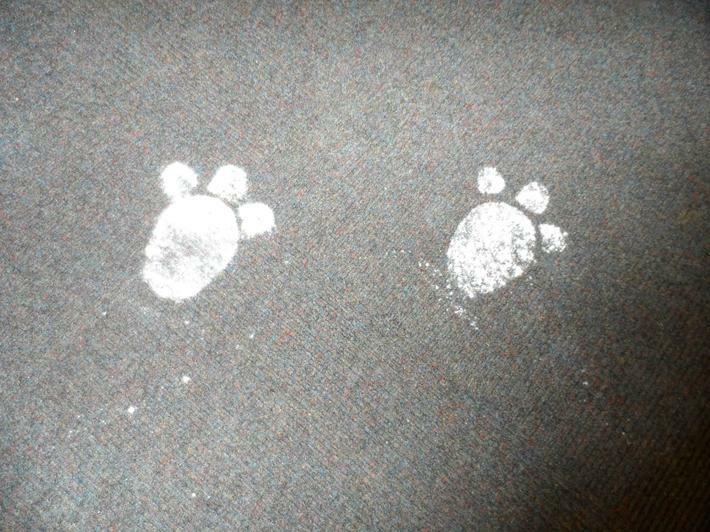 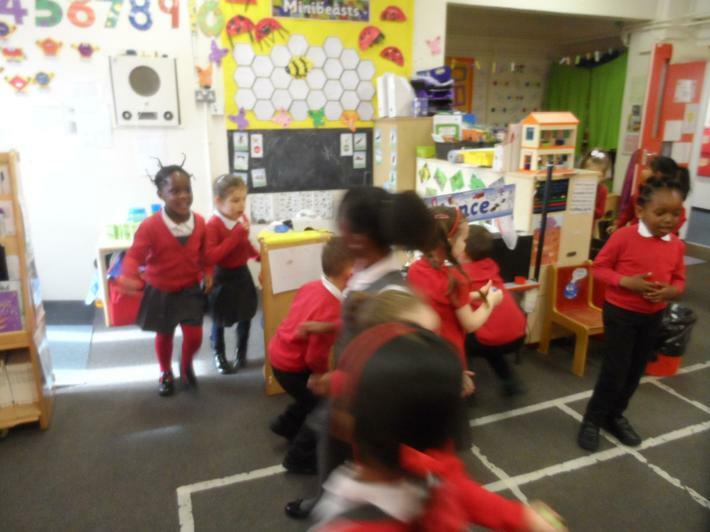 When we came into our classroom this morning, there were footprints on the floor and on the tables. 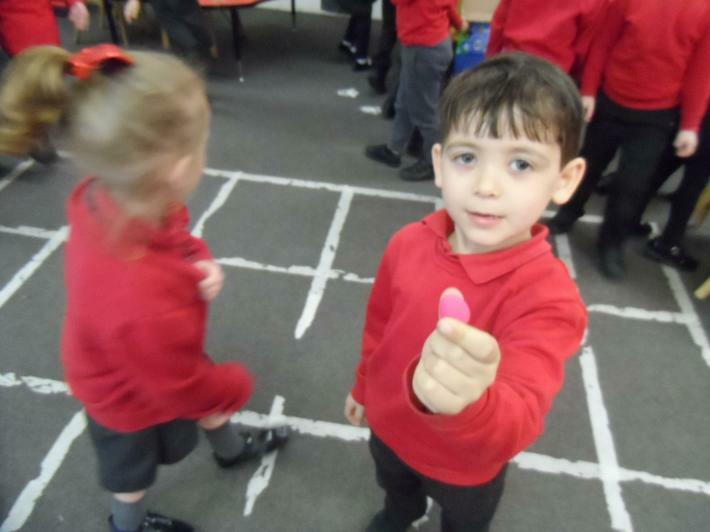 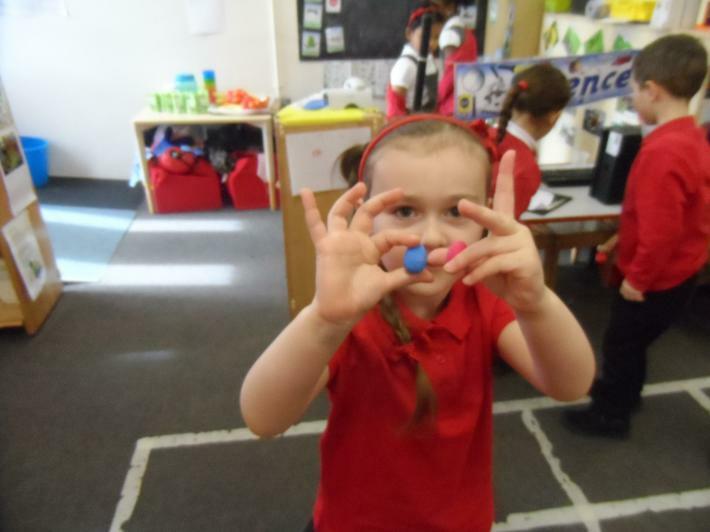 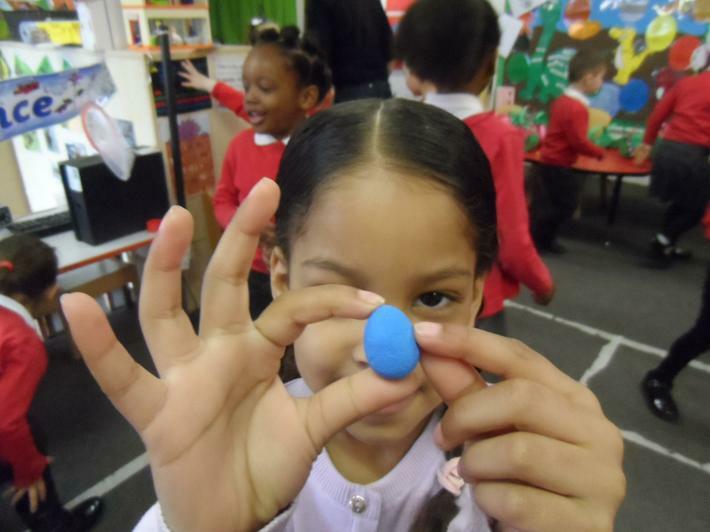 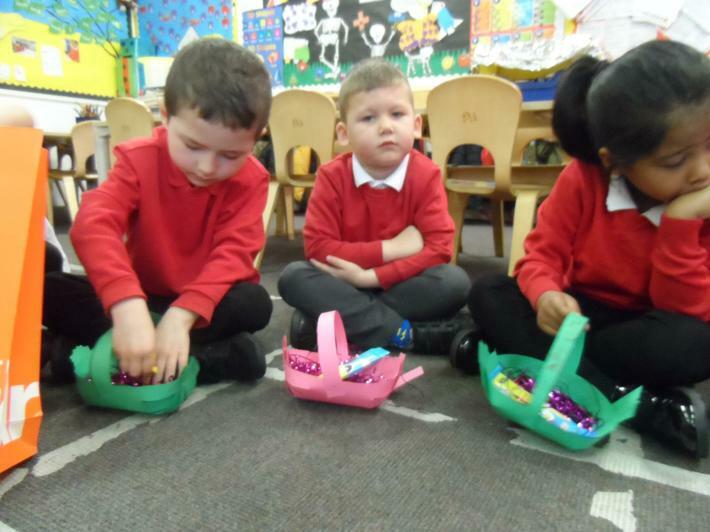 We found lots of little eggs hidden around our room. 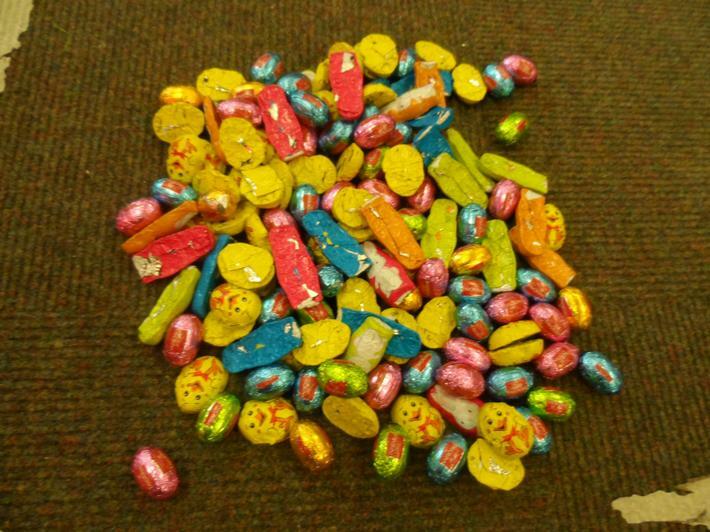 We decided that it must have been the Easter Bunny, so we hunted high and low for all of his special eggs. 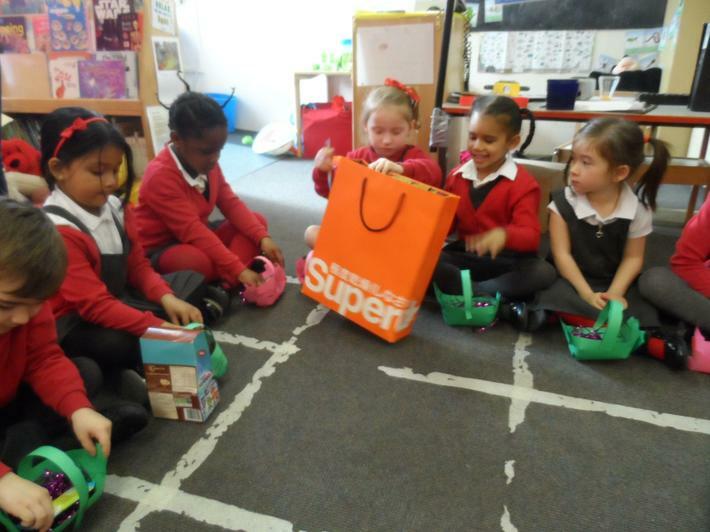 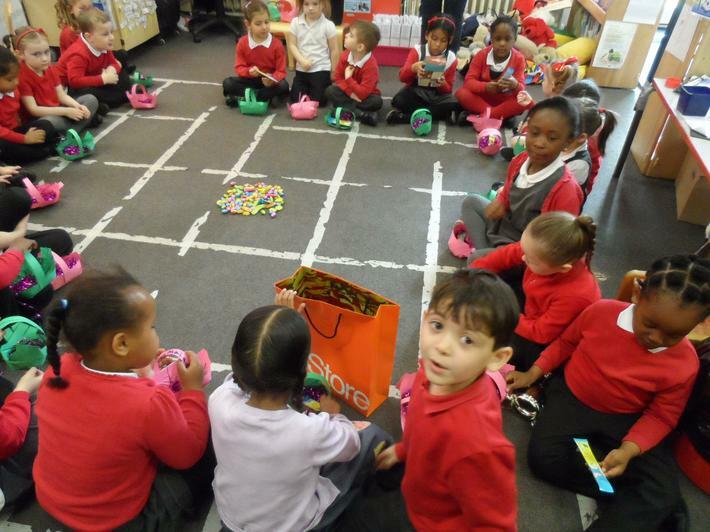 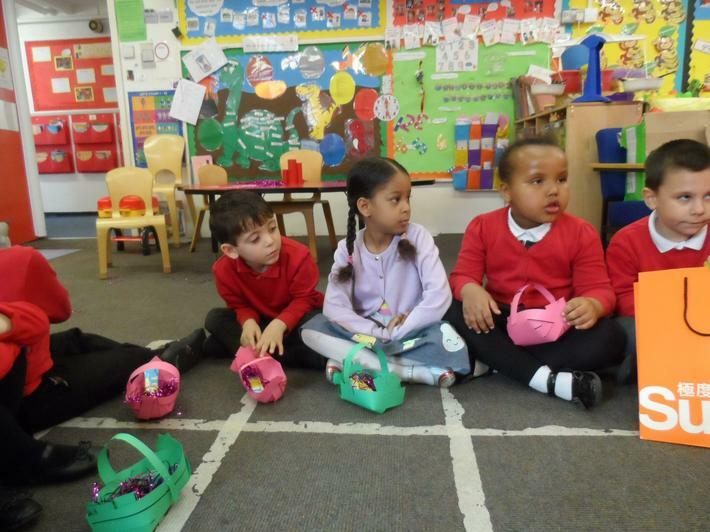 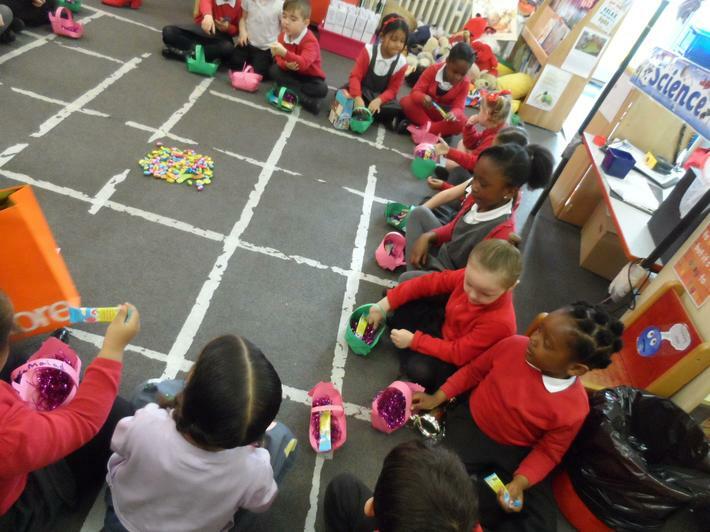 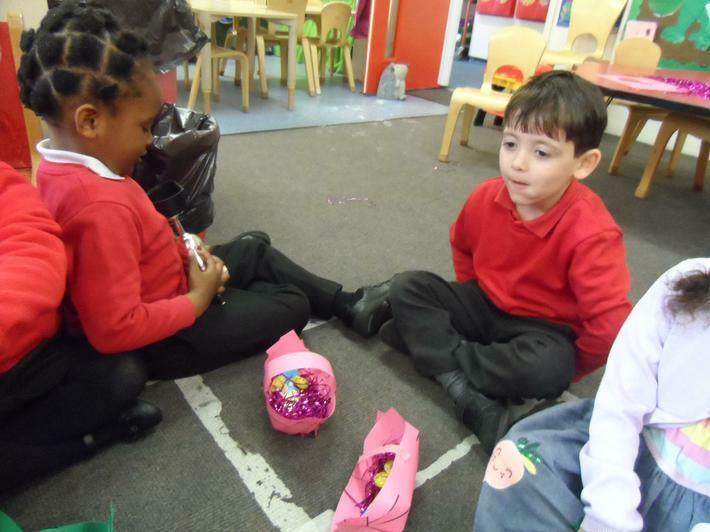 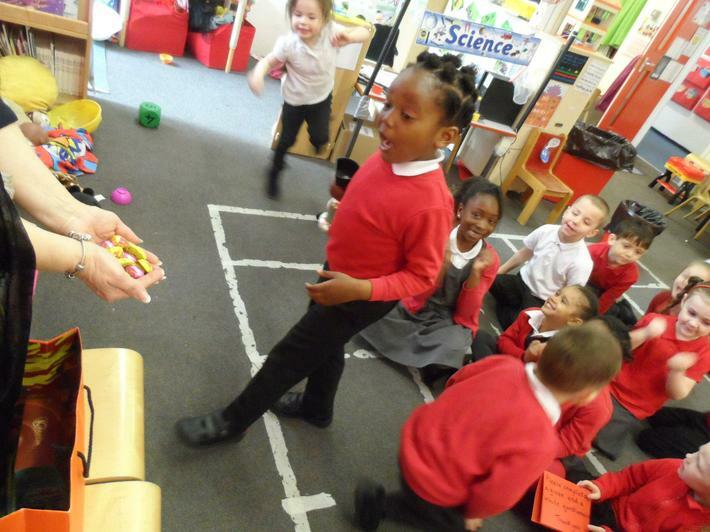 Then we said the magic words and the plastic eggs changed into lots of lovely chocolate. 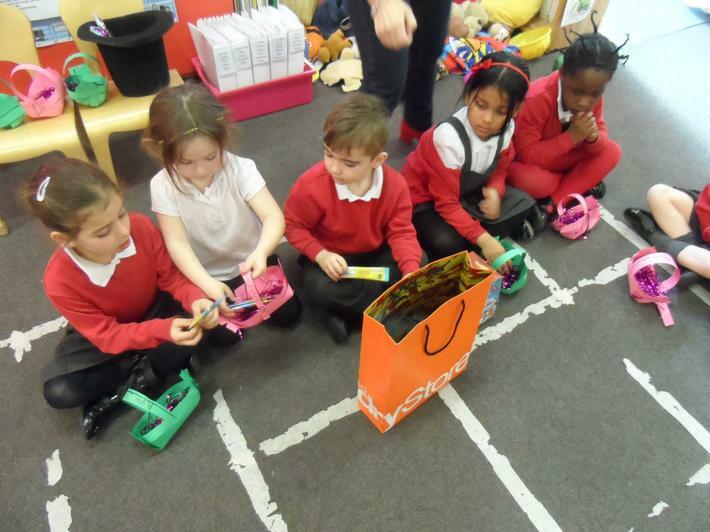 We shared them out so that we all got the same amount. 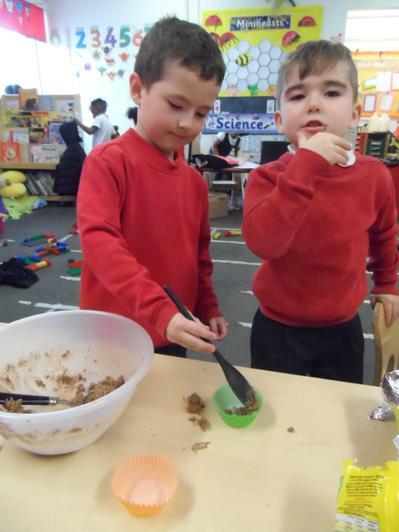 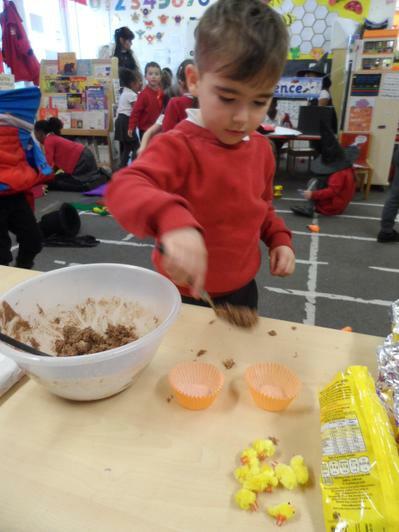 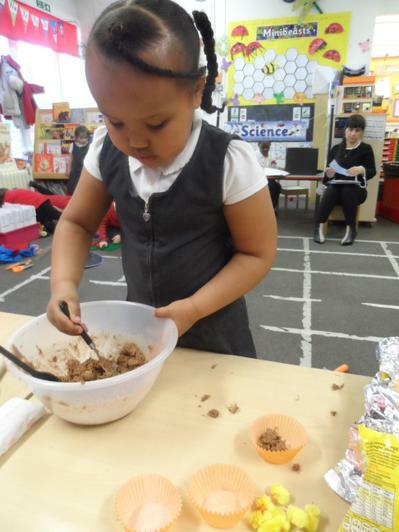 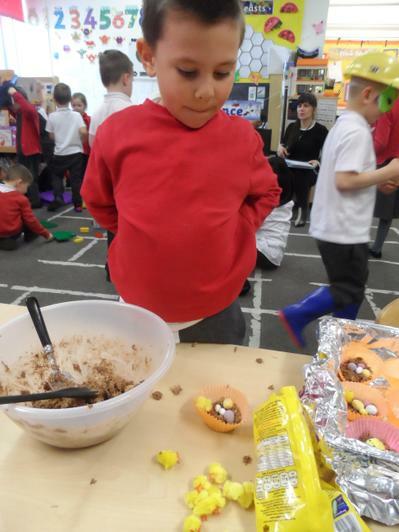 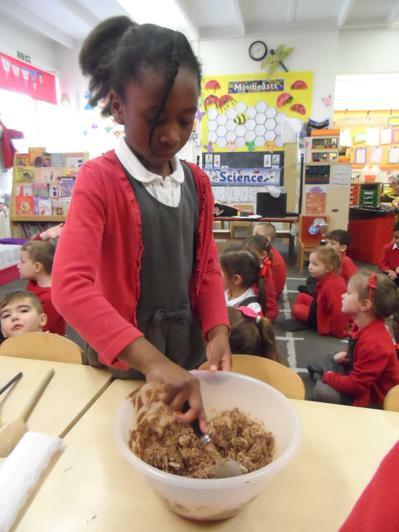 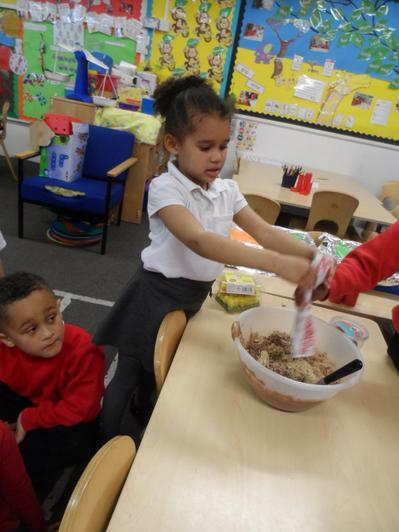 We made Easter nests using chocolate, shredded wheat and mini eggs. 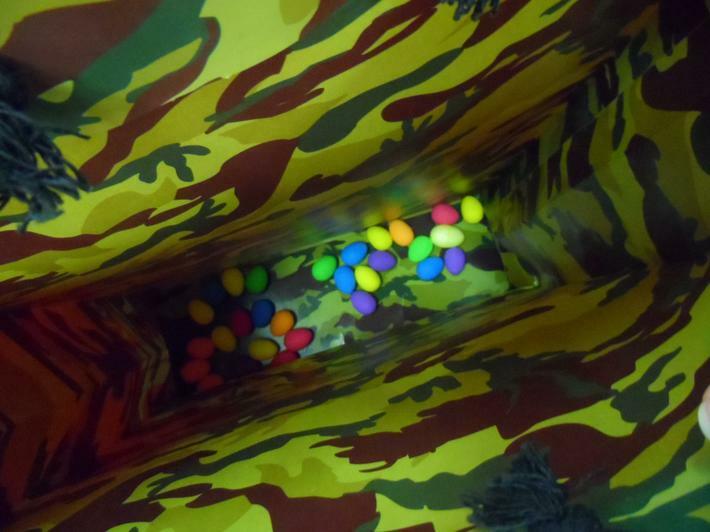 They smelt delicious. 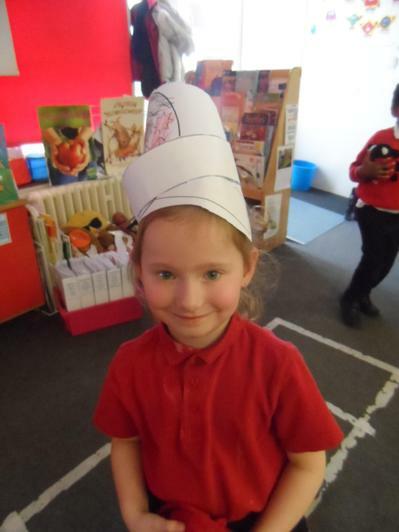 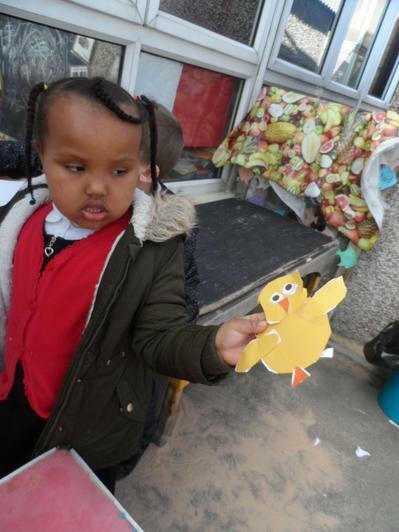 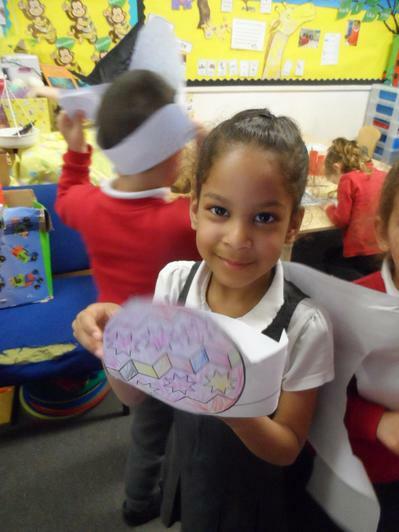 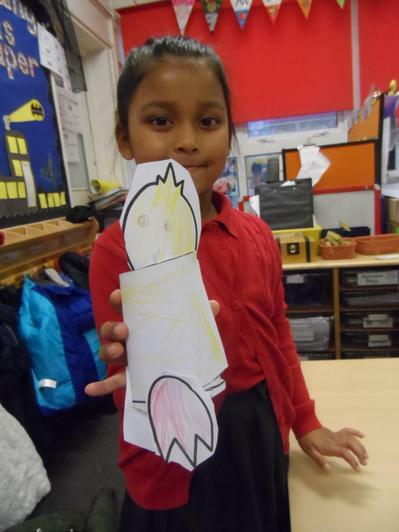 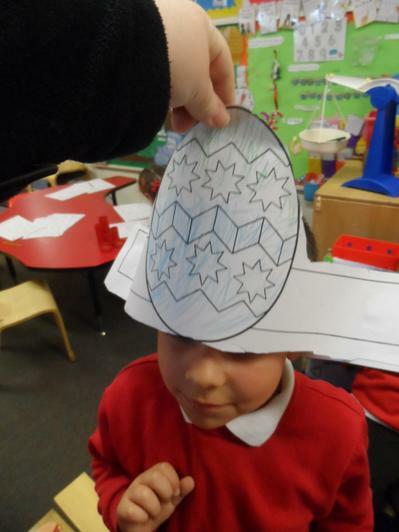 We have been making chicks and Easter bonnets.